Bad Credit Car Loans & Bad Credit Auto Leasing near Hamilton | Ezee Credit Leasing and Sales Inc.
At Ezee Credit, we make it easy for people with credit challenges in and around Hamilton, St. Catherines and Niagara Falls to get an excellent used vehicle and a bad credit car loan or lease they can afford. From the moment you submit our simple, online application, you'll appreciate the personalized approach. We'll get back to you directly within one business day - or sooner, and you'll work with one Ezee Credit Automotive Credit Specialist from start to finish. We understand that people with poor credit have unique needs and circumstances. Using our two decades of expertise, we'll carefully assess which lender and bad credit car loan or lease makes the most sense for you. We're just a short drive away. 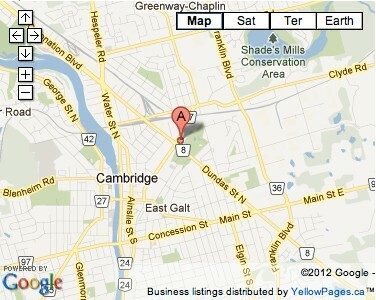 Our location in Cambridge, Ontario is only a short drive from Hamilton and these surrounding communities: Alanburg, Ancaster, Beamsville, Burlington, Caister Center, Campden, Canfield, Connor Bay, Crystal Beach, Dundas, Dunnville, Fenwick, Fisherville, Fonthill, Fort Erie, Glanbrook, Grassie, Grimsby, Hannon, Jordan Station, Lincoln, Lowbanks, Moulton Bay, Mount Hope, Niagara Falls, Niagara on the Lake, Port Colborne, Port Robinson, Ridgeville, Ridgeway, Selkirk, Sherkston, St. Anns, St. Catherines, St. David’s, Stevensville, Stoney Creek, Thorold, Vineland, Vinemount, Virgil, Waterdown, Welland, Wellandport, West Flamborough, and West Lincoln. Many customers choose to complete much of the process remotely and come to our Cambridge location when they're ready to choose from our excellent selection of quality vehicles - or pick it up. We will work with you to make the process as easy as possible and ensure you get the quality vehicle you're looking for on terms that are right for you. Get started today with our online application. Ezee Credit is Ontario's trusted source for bad credit auto loans, so you've nothing nothing to lose and everything to gain. Buying a vehicle, especially when you need financial help to do so, can be a stressful affair. Stacey made our experience enjoyable, entertaining and painless. She answered all of our questions and had no problem finding out the answer if she didn’t know it directly. Stacey was knowledgeable, amicable and humourous. She made us feel confident in her abilities and in Ezee Credit. We love the vehicle she found for us. Thanks Stacey. You’re our Princess! Thank you to the staff of EzeeCredit for helping me achieve this purchase. In particular I'd really like to thank Kathy for all the hard work she did in making this dream a reality.All the extra effort she made, and all the kilometres she put on her legs walking back and forth on my behalf really made this a pleasurable experience for me. Thank you all so much! I would like to take this opportunity to express my appreciation for the amazing service that I received from Wendel at EzeeCredit. He was efficient and very understanding to my needs and wants in a vehicle. His recommendations were totally budget, family and dog accommodating! He is a great sales person with a true understanding of the words CUSTOMER SATISFACTION! I would buy a car from EzeeCredit again without hesitation. Thanks Again!